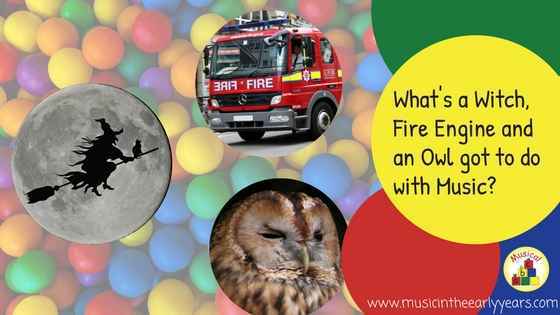 What’s a Witch, Fire Engine and an Owl got to do with Music? They’re all in a brilliant rhyme, one of my favourites, called ‘The Witch Says’. It could be used if you're looking for a rhyme that relates to Animals, Transport, Families or, as I was using it, Our Bodies. The link to ‘Our Bodies’ was not through the words but how the voice is used throughout the rhyme; it is great for vocal play with the many onomatopoeias.